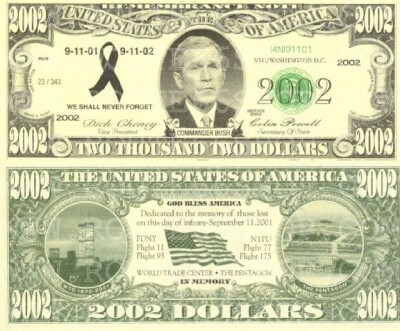 Two Thousand two dollars.Commander Bush. 2002 $. Oboustranný barevný tisk. 2002 dollars funny paper money, bank note. Fullcolor doubleside print.